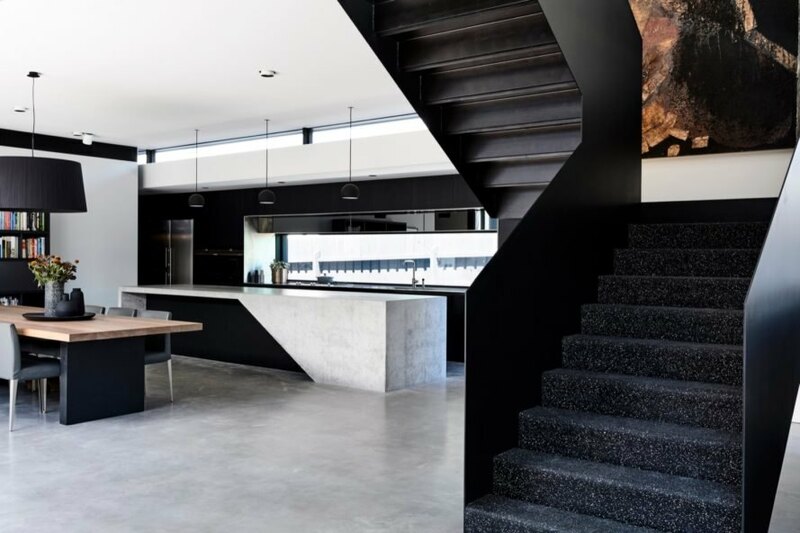 When Melbourne and Paris-based architecture firm Ola Studio was tapped to create a suburban single-family home in Melbourne, it based its design around the clients’ love for art as well as the industrial loft-like spaces of converted warehouses they were accustomed to. 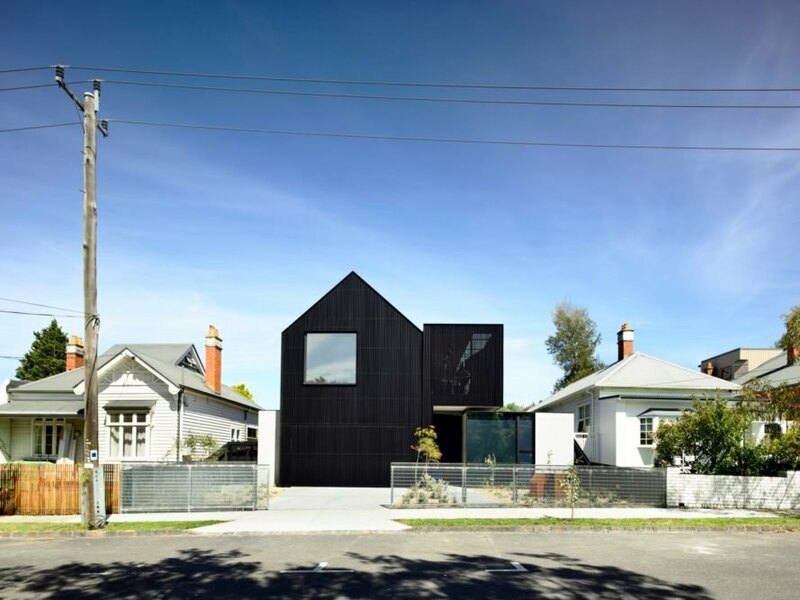 The end result is a partly gabled home that pays homage to its surrounding local and historic context while exuding an undeniably contemporary appearance. The house, named Ross, is powered using a solar photovoltaic array and also follows passive solar principles to minimize energy use. 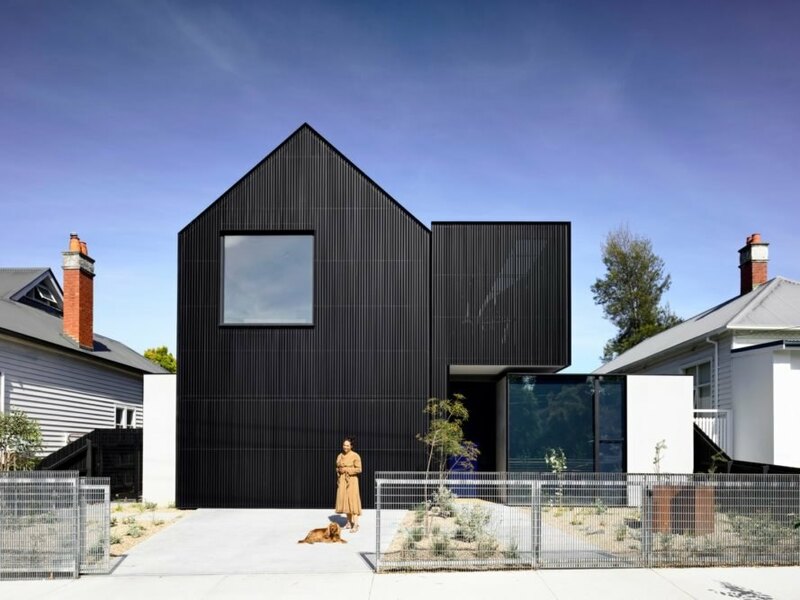 Set on a long rectangular lot in a diverse heritage precinct, the Ross house comfortably fits a family of five, their dog and an art collection. The home is split into two floors with the primary living spaces and a single bedroom on the ground floor, while the master bedroom, two secondary bedrooms and a sitting area are stacked above. Outdoor decks flank both sides of the home to encourage indoor-outdoor living; the family also has access to lawn space and a spacious pool. Ross’ sculptural roofline takes cues from its neighboring structures, both of which are white-painted, single-story period bungalows. The monochromatic color scheme and minimalist material palette is carried over from the exterior to the interior, which serves as a gallery for the client’s art collection. The Ross takes cues from its two period bungalow neighbors. The back of the property includes a spacious pool and lawns. 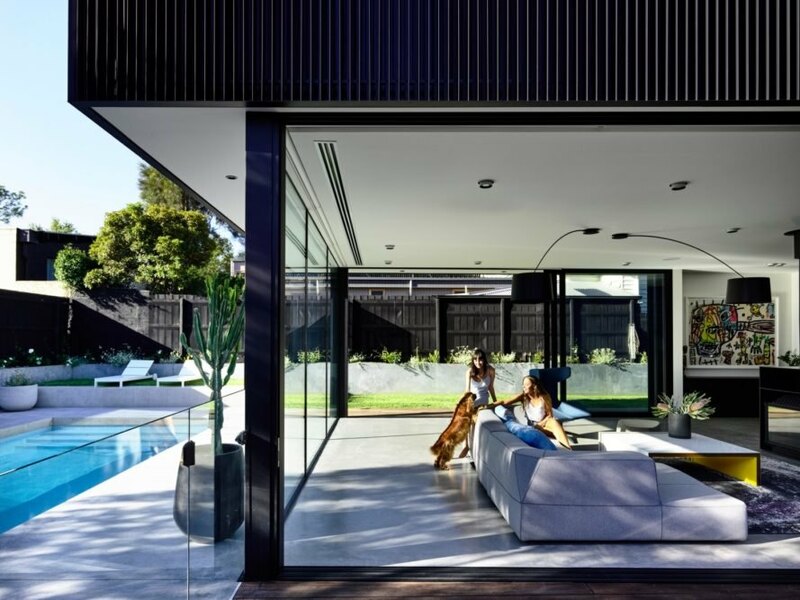 Walls of glass create seamless connections between indoors and out. A look at the highly stylized contemporary kitchen. 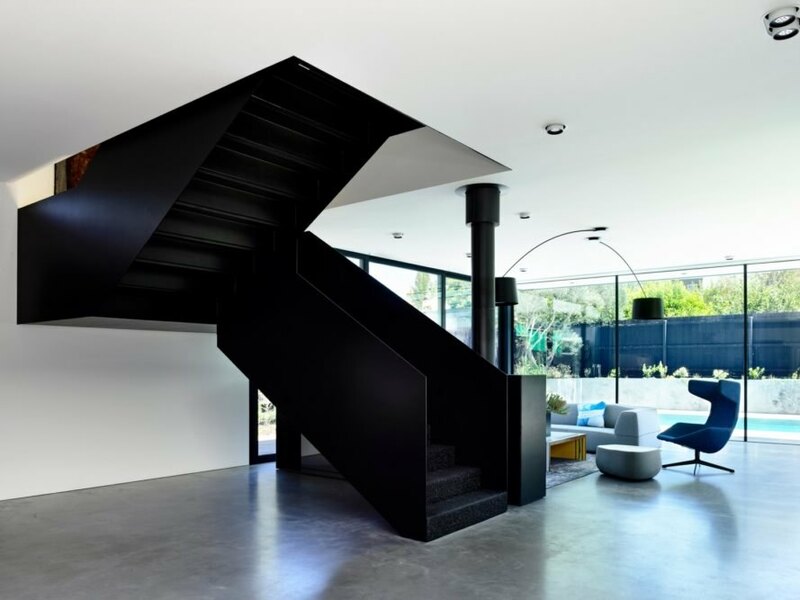 The ground floor living areas connect to the upper floor bedrooms via a sculptural staircase. Full-height operable glazing opens to the outdoor decks. The front of the house appears as a single monolithic mass.